This free exhibition of striking commercial photography from the Library’s collection gives a unique insight into the changing social fabric of mid-20th-century Melbourne. 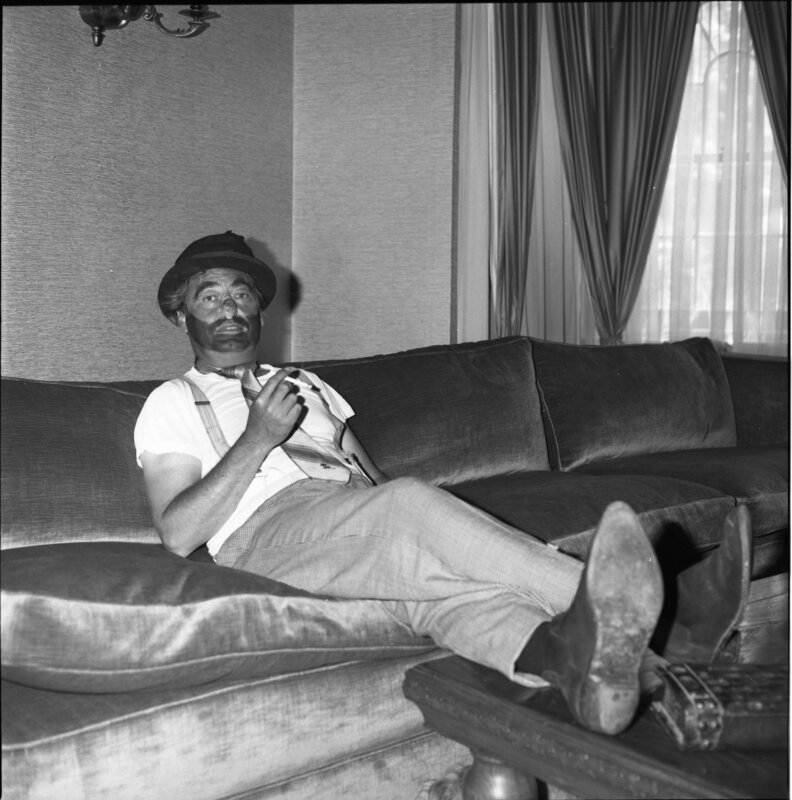 Between the 1930s and the 1960s, Melbourne saw an influx of talented photographers from abroad, with an eye for capturing images unlike anything Australia had ever seen. As modern as tomorrow features works by Norman Ikin, Helmut Newton, Athol Shmith, Wolfgang Sievers, Mark Strizic, Dacre Stubbs, Henry Talbot and Maggie Diaz. These exceptionally talented individuals were active in commercial fields as varied as fashion, advertising, architectural and industrial photography, for clients including Robin Boyd, the Australian Wool Board, Shell and Kodak. 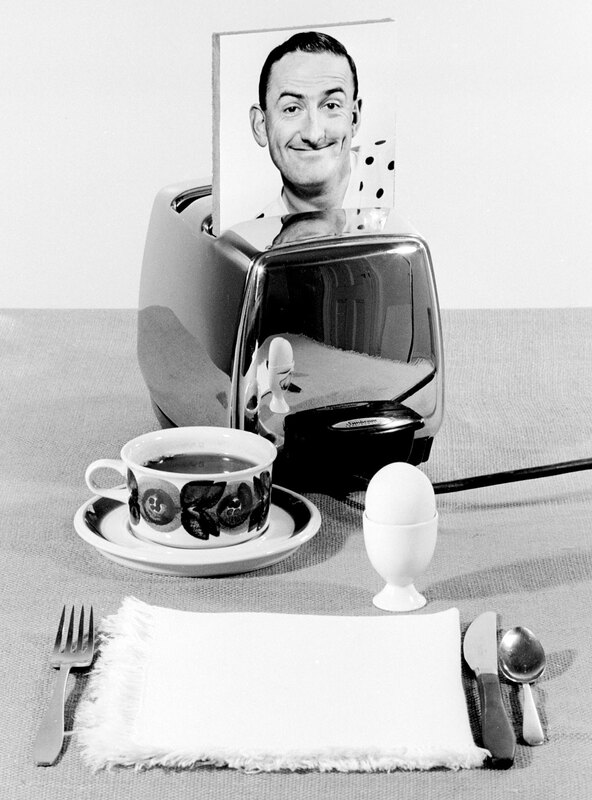 As modern as tomorrow presents this work in a new context, as the photographs are displayed alongside the corporate publications and advertising material in which they originally appeared. Many of these images from the Library’s collection are on public display for the first time. SILVERS Circus is currently in town and at our daughter Matilda’s request, we went along for her birthday. It was a fabulous show and I was thrilled to meet Anton Gasser, who founded the circus in 1976. 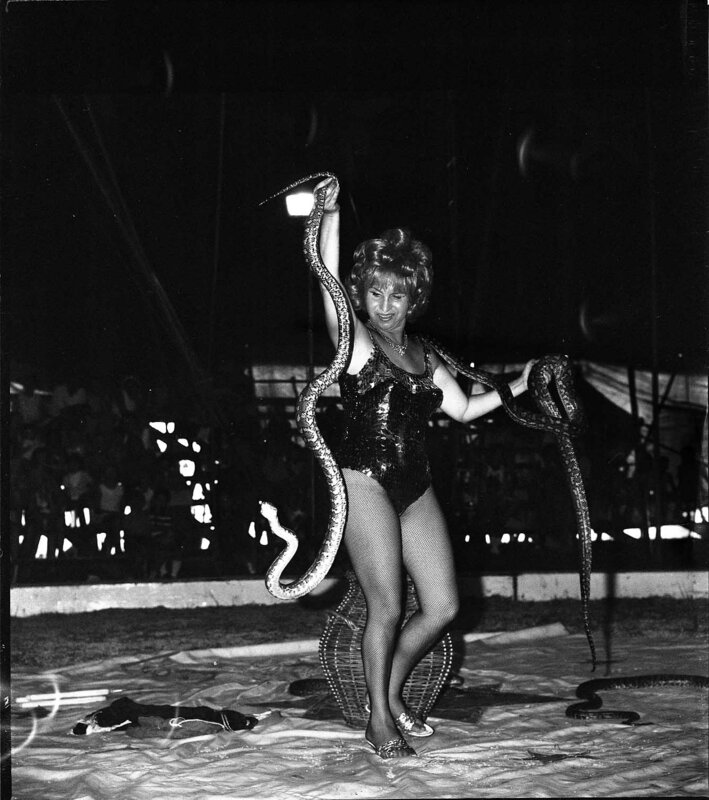 The line up of incredible performers were mainly from the Gasser family, so it was a rare opportunity to chat to some real circus folk. 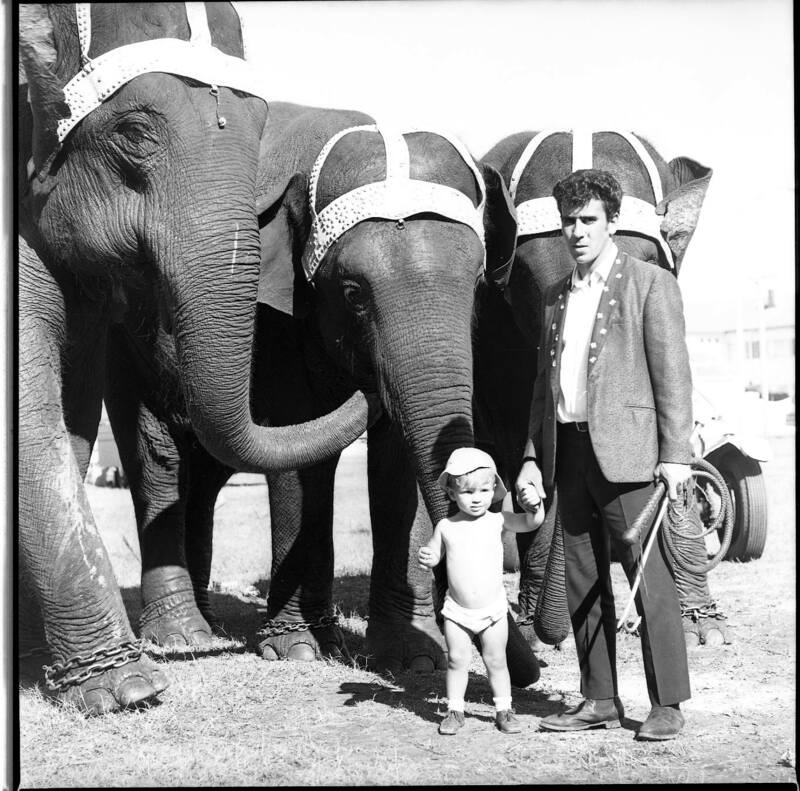 Never one to miss a chance to talk about the Diaz Collection, I mentioned that we had some images from Australia’s Ashton’s Circus from the 1970s. It turns out that Anton was actually a trapeze artist with Ashton’s at the same time that the above photos were taken, so he offered to identify the performers you see featured here. 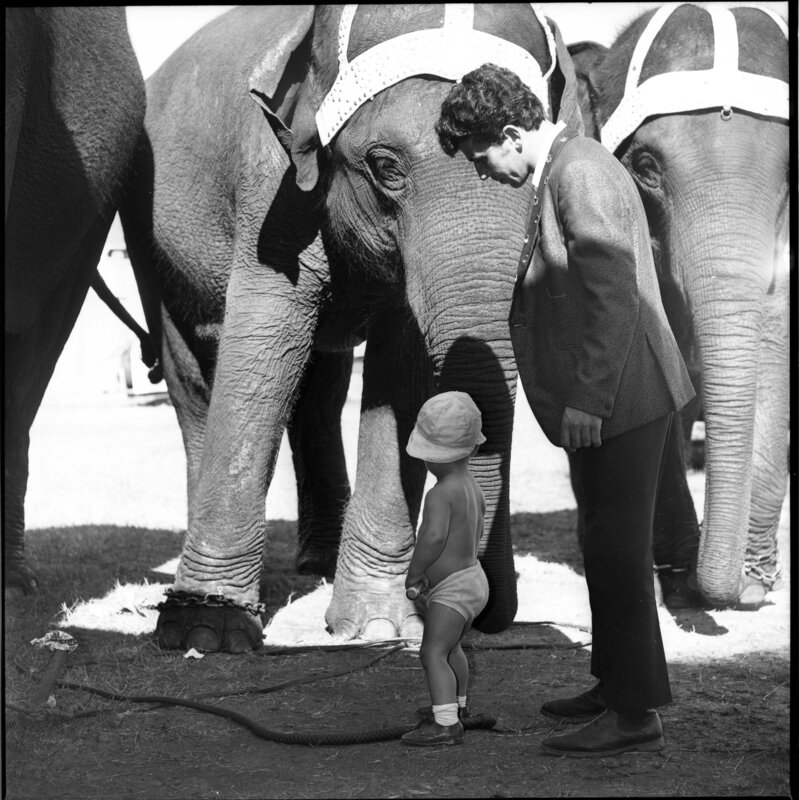 We now know that the elephant trainer was Philip Zachini and his elephants were Abu, Gilda and Gigi. Apparently Philip is still around, so we look forward to sharing these photos with him at some stage…perhaps he’s never seen them or maybe he did catch the article in the Southern Cross News in the early 1970s when a couple of these pictures were featured. So if you see a Silvers poster around, or you notice a big top in your area, don’t be confused or afraid – the circus is well worth re-visiting! Go to: http://www.silverscircus.com.au/ to find out more!